Here at Top Leaf Cigar Lounge, we offer some of the best cigars the industry has to offer, handpicked by us for you. Whether you need a light, medium bodied cigar to go with your morning coffee, or a strong and full bodied smoke for after dinner, we have you covered. 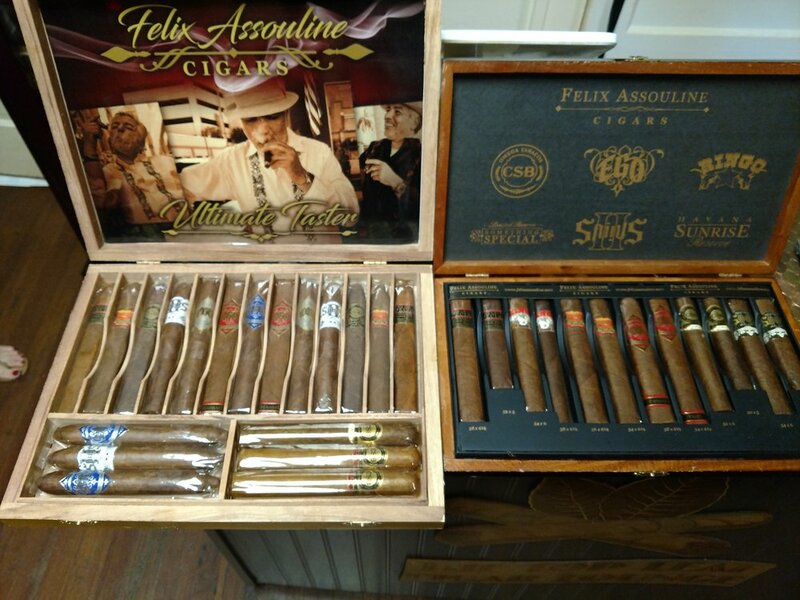 Boutique Blends Here at Top Leaf we pride ourselves in carrying rare cigars and delicious boutique blends such as Felix Assouline, Black Label Trading Company, Mbombay, Hiram & Solomon, with many more and more to come. Premium Blends We also carry a wide selection of premium blends such Liga Privada, Arturo Fuente, AVO, Pappy Van Winkle, Caldwell Cigars. Everyday Smokes on occasion you just need a more reasonable smoke, we offer not only flavored cigars, but manufactures like Drew Estate, Perdomo, La Gloria Cubana, and many more. A good cigar is nothing without good atmosphere and good company. At Top Leaf, not only do we carry quality cigars, but we have a quality place to enjoy them too. Our lounge includes 3 separate seating areas for you to enjoy. The front of house provides an area to sit with your friends and converse over a good smoke, complete with leather chairs, tables, and ashtrays. Our two other areas provide the same amenities but included with those are televisions so you can sit an enjoy your favorite sports games or TV shows. If you don’t need television, there is room to sit and enjoy a book as well. On top of this we also have a small kitchen where you may bring your own drinks to keep in our refrigerator and freezer, and of course there are plenty of table to sit and enjoy some takeout. Be sure to check our calendar on our events page! Insiders and manufactures from the cigar industry love to come visit, be sure to check in often to meet your favorite manufacturers and learn more about the industry and the trade. Company Gathering? Wedding? Just walking around downtown for a music festival? You can find us supporting our local community and cruising around local events making sure everyone’s cigar needs are met. Book us for you event!